Can I Fight A DUI Charge On Probable Cause Grounds If I Think The Stop Was Illegal In NJ? I Think My DUI Stop In New Jersey Was Illegal. Can I Fight A DUI Charge On Probable Cause Grounds? Absolutely, if police engaged in unlawful conduct during a stop, or you believe they stopped you without probable cause, that is solid ground on which to challenge the DUI/DWI charges against you in New Jersey. When an illegal stop is made that results in an arrest, a judge can decide that everything that happened from the moment of the illegal stop will be disallowed from the proceedings, with the effect of throwing out the case against you. It’s important to move quickly when you believe police lacked probable cause. Dashboard cameras or surveillance video of the stop may be acquired through discovery or subpoena, but the longer you wait, the more likely that significant evidence may be lost or taped over. 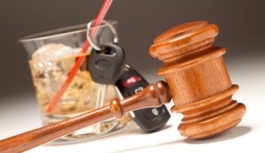 An experienced DUI/DWI attorney can help you gather evidence and make the appropriate motions in your case. If you questions regarding probable cause court cases, call attorney Matthew Reisig today at 732-625-9660 for a free consultation with one of New Jersey’s most experienced DUI/DWI attorneys. Next post: Can I Establish A Payment Plan To Pay Outstanding DUI Fines And Fees And Get My License Reinstated In New Jersey? Previous post: Will I Have To Return To New Jersey For Court If I Was Charged With DUI/DWI While Visiting The State?